I am in the process of planning an Adventures By Disney group that will be peanut and tree nut free. 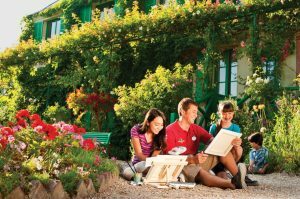 Just think, you can take your family to Europe with other like-minded food allergy families and ENJOY the best family vacation on Earth. We need only 20 people to make this adventure a reality. Let’s do it! Sign up below before all spots are filled. I am planning a gluten-free and other food allergy friendly adventures in the future. Please let me know if you’re interested.